AAA Vacuum and Sewing carries only the finest sewing machines including Brother which has range of sewing machines from the very simplest to the most advanced. Stop by and take a look. 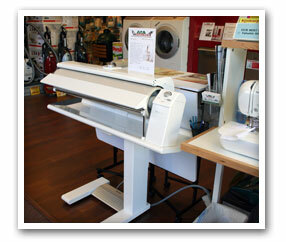 Need Sewing Machine Classes, service, or repair? If so we can help you with that too. Sign up for emails HERE ! Contact us in store for more information and scheduling. No cartridges or PC required, now you can send your designs over WiFi ! Select any of the 1,102+ built in designs or draw and scan in your own designs to create beautiful cuts to embellish your projects with. Also, be sure to check out Brother's latest The Luminaire innov-is XP1 and the V-Series of sewing/embroidery machines that we now proudly carry in store. Looking for a new design to embroider on your Brother embroidery machine, check out Brothers iBroidery website for more designs! Using a non-Brother machine? No problem, check out Dakota Collectibles embroidery website where you can download designs in your machines format! Don't forget to include our Go Nuts number of ~*~3393~*~ and enjoy all your embroidering. Available Wednesday, Thursday and Saturday Every Month! Classes From beginning to intermediate.No experience required ! 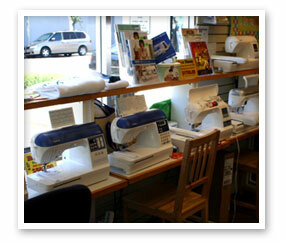 Private lessons available by appointment on any brand sewing machine,embroidery or overlock. Sign up sheet in store :AAA Vacuum & Sewing 501 South B St San Mateo.